With the splendor of tall skyscrapers and being technologically advanced, Bangalore has always been in a rush. The people of Bangalore are always in some sort of competition and they donot have the time, even for their own selves, forget about their near and dear ones. It is good to work hard, but what is equally important is to have a relaxing time. A time where you can calm your senses and bring back your energetic soul. For this you might need to get away from the crowd and the hustle and bustle of the city to a far-off place. There are a number of places around Bangalore that are near the nature and are enough to calm your mind. Chikmagalur is one of the famous weekend spots near Bangalore and is hardly a route of 5 hours. It has giant mountains, humble valleys, rejuvenating coffee and Hebbe Falls that attracts everyone to this place. It is a main attraction among the trekkers. The scenic beauty from the mountains comes as a natural blessing to the eyes and there is nothing more beautiful than that. Located in the Eastern Ghats, it is known for its greenery and plantations and soothing silence that attractsth e tired people from the city. 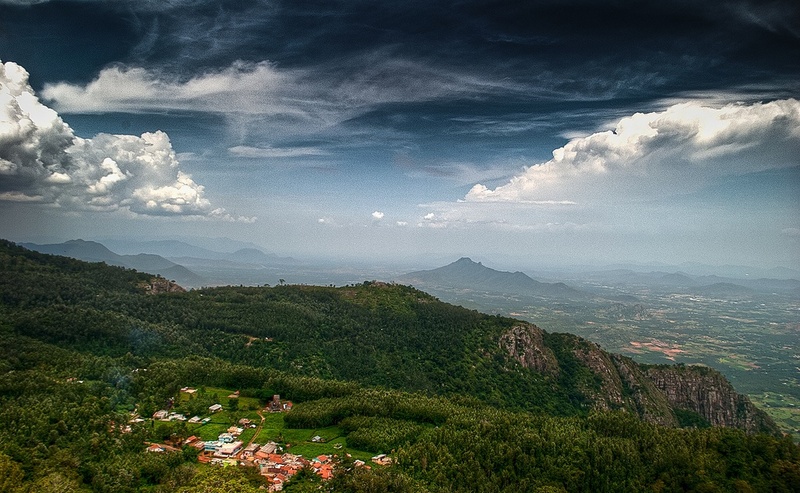 When you visit Yercaud, you must see the Kiliyur falls, Pagoda point and Yercaud lake. You must be a little surprised to find Wayanad in this list of five best long weekend points near Bangalore because Wayanad is in Kerala. Although, Wayanad is in Kerala, it is near to Bangalore and it is a perfect weekend gateaway. There are a number of things that you could do in Wayanad that will bring you close to the nature and hence mother earth as well. On your visit to Wayanad, you should plan a trek to Chembra peak, 2,100 m high and the view from that point is breathtaking. Apart from the trek, there is a bamboo factory which you should visit. The tumult of the techie town makes a buzzing and annoying whirl in your head. Bandipur National Park offers you 874 square kilometers of area to make you free from that state of exasperation. You will also find a number of options available for your comfortable stay. Here you will find tigers, gaurs, sloth bears, Indian giant squirrels and many more other species of animals as well as plants. It is not necessary that the weekend gateway has to be a thrilling or mountain enclosed point. If you are looking for eternal peace, then you can also visit this place which is on the bank of River Yagachi. It has many temples that are a prominent living example of the ancient architecture India owns. So what are you waiting for? Pack your bags and visit these places because to travel is to live.